In this project you’ll make a cool control panel with a switch and lights that turn on when you press the switch. You can decide whether the lights mean. A green LED will be on, until you press a button. When the Arduino gets a signal from the button, the green light will turn oﬀ and 2 other lights will start blinking. The Arduino’s digital pins can read only two states: when there is voltage on an input pin, and when there’s not. This kind of input is normally called digital (or sometimes binary, for two-states). These states are commonly referred to as HIGH and LOW. HIGH is the same as saying “there’s voltage here” and LOW means “there’s no voltage on this pin”. When you turn an OUTPUT pin HIGH using a command called digitalWrite(), you’re turning it on. 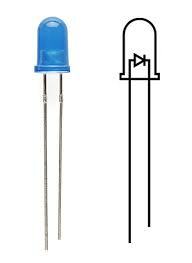 Measure the voltage between the pin and ground, you’ll get 5 volts. When you turn an OUTPUT pin LOW, you’re turning it oﬀ. The Arduino’s digital pins can act as both inputs and outputs. In your code, you’ll configure them depending on what you want their function to be. When the pins are outputs, you can turn on components like LEDs. If you configure the pins as inputs, you can check if a switch is being pressed or not. Since pins 0 and 1 are used for communicating with the computer, it’s best to start with pin 2. Wire up your breadboard to the Arduino’s 5V and ground connections, just like the previous project. Place the two red LEDs and one green LED on the breadboard. 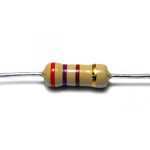 Attach the cathode (short leg) of each LED to ground through a 220-ohm resistor. Connect the anode (long leg) of the green LED to pin 3. Connect the red LEDs’ anodes to pins 4 and 5, respectively. Place the switch on the breadboard just as you did in the previous project. Attach one side to power, and the other side to digital pin 2 on the Arduino. 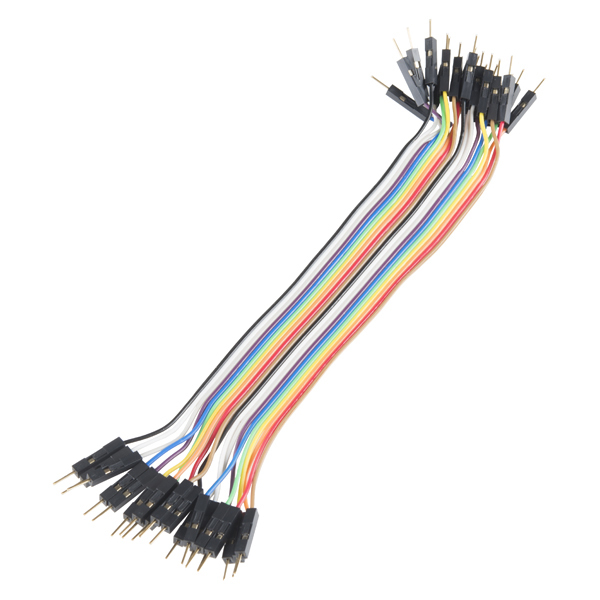 You’ll also need to add a 10k-ohm resistor from ground to the switch pin that connects to the Arduino. That pull-down resistor connects the pin to ground when the switch is open, so it reads LOW when there is no voltage coming in through the switch. 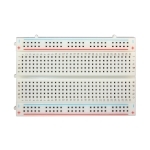 You can cover the breadboard the template provided in the kit. Or you can decorate it to make your own launch system. The lights turning on and oﬀ mean nothing by themselves, but when you put them in a control panel and give them labels, they gain meaning. 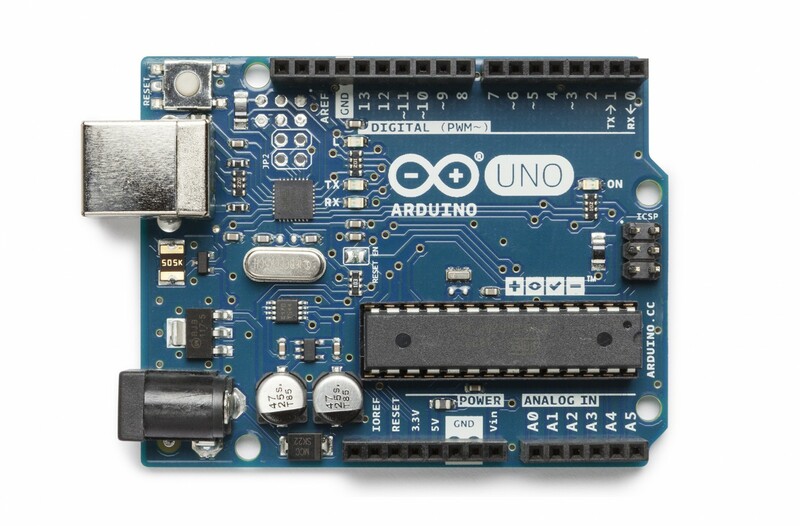 Every Arduino program has two main functions. Functions are parts of a computer program that run specific commands. Functions have unique names, and are “called” when needed. The necessary functions in an Arduino program are called setup() and loop(). These functions need to be declared, which means that you need to tell the Arduino what these functions will do. setup() and loop() are declared as you see on the right. In this program, you’re going to create a variable before you get into the main part of the program. Variables are names you give to places in the Arduino’s memory so you can keep track of what is happening. These values can change depending on your program’s instructions. Variable names should be descriptive of whatever value they are storing. For example, a variable named switchState tells you what it stores: the state of a switch. On the other hand, a variable named “x” doesn’t tell you much about what it stores. To create a variable, you need to declare what type it is. The data type int will hold a whole number (also called an integer); that’s any number without a decimal point. When you declare a variable, you usually give it an initial value as well. The declaration of the variable as every statement must end with a semicolon (;).The setup() runs once, when the Arduino is first powered on. This is where you configure the digital pins to be either inputs or outputs using a function named pinMode(). 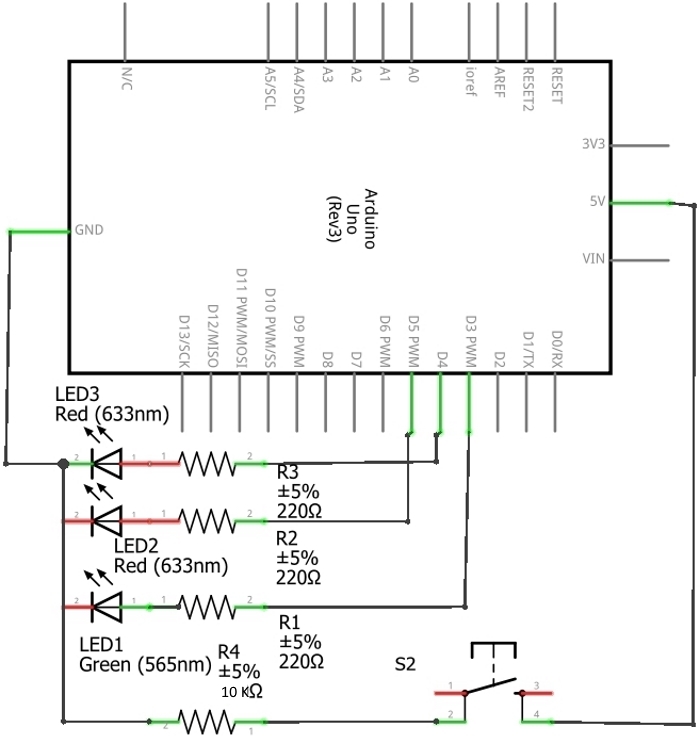 The pins connected to LEDs will be OUTPUTs and the switch pin will be an INPUT. The loop() runs continuously after the setup() has completed. The loop() is where you’ll check for voltage on the inputs, and turn outputs on and oﬀ. To check the voltage level on a digital input, you use the function digitalRead() that checks the chosen pin for voltage. To know what pin to check, digitalRead() expects an argument.Arguments are information that you pass to functions, telling them how they should do their job. For example, digitalRead() needs one argument: what pin to check. In your program, digitalRead() is going to check the state of pin 2 and store the value in the switchState variable. If there’s voltage on the pin when digitalRead() is called, the switchState variable will get the value HIGH (or 1). If there is no voltage on the pin, switchState will get the value LOW (or 0). Above, you used the word if to check the state of something (namely, the switch position). An if() statement in programming compares two things, and determines whether the comparison is true or false. Then it performs actions you tell it to do. When comparing two things in programming, you use two equal signs ==. If you use only one sign, you will be seting a value instead of comparing it. digitalWrite() is the command that allows you to send 5V or 0V to an output pin. digitalWrite() takes two arguments: what pin to control, and what value to set that pin, HIGH or LOW. If you want to turn the red LEDs on and the green LED oﬀ inside your if() statement, your code would look like this. You’ve told the Arduino what to do when the switch is open. Now define what happens when the switch is closed. The if() statement has an optional else component that allows for something to happen if the original condition is not met. In this case, since you checked to see if the switch was LOW, write code for the HIGH condition after the else statement. To get the red LEDs to blink when the button is pressed, you’ll need to turn the lights oﬀ and on in the else statement you just wrote. After setting the LEDs to a certain state, you’ll want the Arduino to pause for a moment before changing them back. If you don’t wait, the lights will go back and forth so fast that it will appear as if they are just a little dim, not on and oﬀ. This is because the Arduino goes through its loop() thousands of times each second, and the LED will be turned on and oﬀ quicker than we can perceive. The delay() function lets you stop the Arduino from executing anything for a period of time. delay() takes an argument that determines the number of milliseconds before it executes the next set of code. There are 1000 milliseconds in one second. delay(250) will pause for a quarter second. Now your program will ﬂash the red LEDs when the switch button is pressed. Once your Arduino is programmed, you should see the green light turn on. When you press the switch, the red lights will start ﬂashing, and the green light will turn oﬀ. Try changing the time of the two delay() functions; notice what happens to the lights and how the response of the system changes depending on the speed of the ﬂashing. When you call a delay() in your program, it stops all other functionality. No sensor readings will happen until that time period has passed. While delays are often useful, when designing your own projects make sure they are not unnecessarily interfering with your interface. Try yourself to find out how to get the red LEDs to be blinking when your program starts and how can you create a larger, or more complex interface for your interstellar adventures with LEDs and switches. In this project, you created your first Arduino program to control the behavior of some LEDs based on a switch. You’ve used variables, an if()...else statement, and functions to read the state of an input and control outputs. Pay atention to the case sensitivity in your code. If you ever want to include natural language in your program, you can leave a comment. Comments are notes you leave for yourself that the computer ignores. To write a comment, add two slashes // The computer will ignore anything on the line after those slashes. Any code you write inside the curly brackets will be executed when the function is called. Pay atention to the case sensitivity in your code.For example, pinMode is the name of a command, but pinmode will produce an error. If you ever want to include natural language in your program, you can leave a comment.Comments are notes you leave for yourself that the computer ignores. To write a comment, add two slashes // The computer will ignore anything on the line after those slashes.